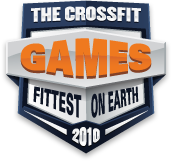 After enduring the 2010 CrossFit Games many invdiivduals might forego a week of training in exchange for - say - a week of sleep. Fifth place finisher, Mikko Salo was in the gym the very next week hitting it hard and preparing for next year. His coach talks about the role of the bench press in MIkko's strength regiment and coach Hollis Molloy, of CrossFit Santa Cruz, makes some suggestions for technique and flexibility. Bench press is not a staple of Mikko's strength training, but he will incorporate it infrequently within metcons. Mikko trained in Santa Cruz for a week before heading back to Finland, where he recently opened an affiliate, CrossFit Pori.